Huge Savings Item! Free Shipping Included! 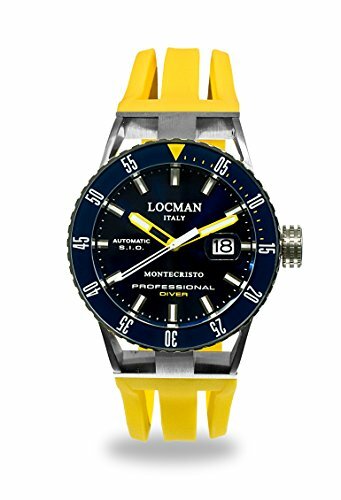 Save 12% on the Locman Italy Men's 'Montecristo Professional' Automatic Stainless Steel and Rubber Diving Watch, Color:Yellow (Model: 051300BYBLNKSIY) by Locman Italy at MZ Italia. MPN: 051300BYBLNKSIY. Hurry! Limited time offer. Offer valid only while supplies last.